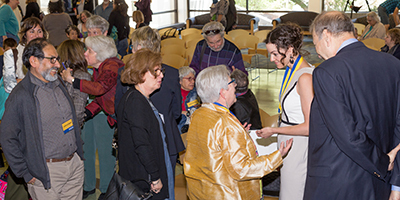 Home / 2017 / May / UC Santa Cruz receives gift to establish Baskin Foundation Presidential Chair for Feminist Studies. 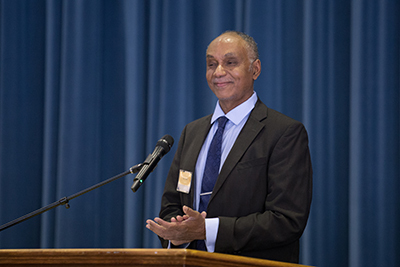 UC Santa Cruz dean of humanities Tyler Stovall hosted the event which took place at the Stevenson Event Center. 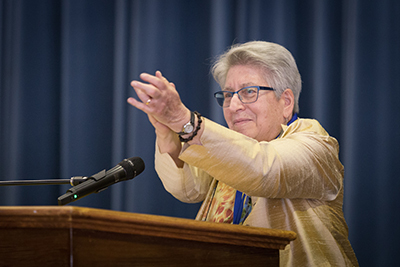 UC Santa Cruz has received a $500,000 gift from the Peggy and Jack Baskin Foundation, plus matching funds from the UC Regents, to establish the $1 million Peggy and Jack Baskin Foundation Presidential Chair for Feminist Studies. The endowed chair will help to fund research and teaching in feminist studies, as well as provide support for graduate fellowships. 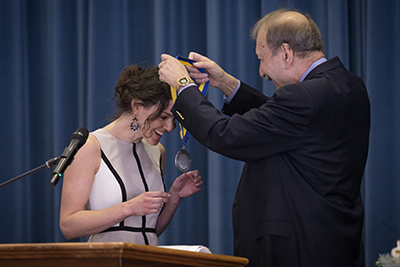 Bettina Aptheker, distinguished professor of feminist studies at UC Santa Cruz, was honored as the inaugural appointee to the Presidential Chair at an investiture ceremony that took place yesterday at the Stevenson Event Center. A scholar of history with a national reputation for her talents as an instructor, Aptheker taught one of the country’s largest and most influential introductory feminist studies courses for nearly three decades at UC Santa Cruz. She received her Ph.D. in History of Consciousness from UC Santa Cruz and went on to become the first ladder-rank faculty member of the Feminist Studies Department (then known as Women’s Studies) in 1987. The Peggy and Jack Baskin Foundation was founded in 2007 to provide opportunities for social change and justice. It currently focuses on improving the lives of women and girls, and equal access to education. 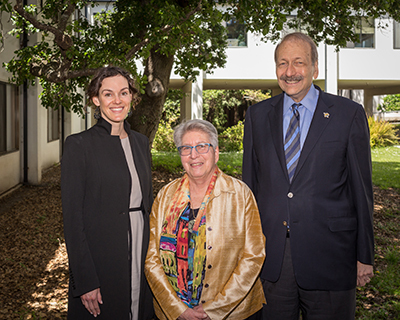 UC Santa Cruz and the Peggy and Jack Baskin Foundation have been partnering on advancing innovative and impactful scholarship for a number of years. The foundation has funded the Baskin Feminist Scholars Program and the Baskin Scholars Program in Engineering that enable community college students to transfer to UC Santa Cruz; underwritten fellowships to female doctoral students in engineering; and funded the summer Girls in Engineering program for middle-school girls since its inception.